People often complain about paperlaunches but what AMD's doing right now seems more like a snail-pace paperlaunch. 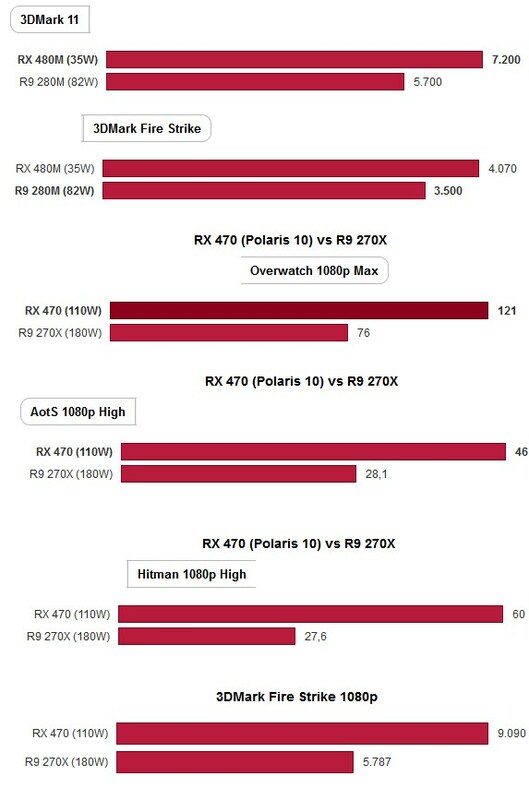 After showcasing the Radeon RX 470 and RX 460 PCBs on Monday, the company now shares a little bit more information about its full Polaris lineup. 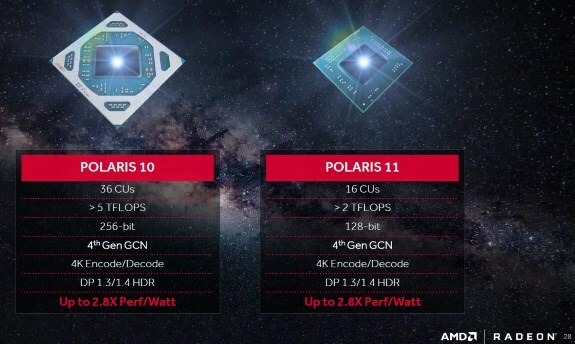 AMD confirmed its Polaris 10 has 36 CUs, which results in 2304 stream processors. These card are based on the 4th generation GCN architecture and have a 256-bit memory bus and computing power in excess of 5 teraflops. The Polaris 10 chip will be used by both the Radeon RX 480 and RX 470 but the exact configuration of the latter is unknown. AMD claims the Radeon RX 470 (110W TDP) will deliver up to 2.8x the performance per Watt than a Radeon R9 270X (180W TDP). Polaris 11 on the other hand has 16 CUs, resulting in a total number of 1024 stream processors. This smaller chip has a 128-bit memory bus and up to 2 teraflops of raw computing power. While not explicitly mentioned, Polaris 11 is presumably used by the Radeon RX 460. We also learn AMD's Radeon RX 480M laptop chip will have a 35W TDP, this Polaris 11 based card promises 2.8 times the performance per Watt of the AMD Radeon R9 M280X. The footnotes of the presentation continued some benchmark results that back up the claims AMD made througout the presentation. Tweakers compiled some charts from the data AMD provided.